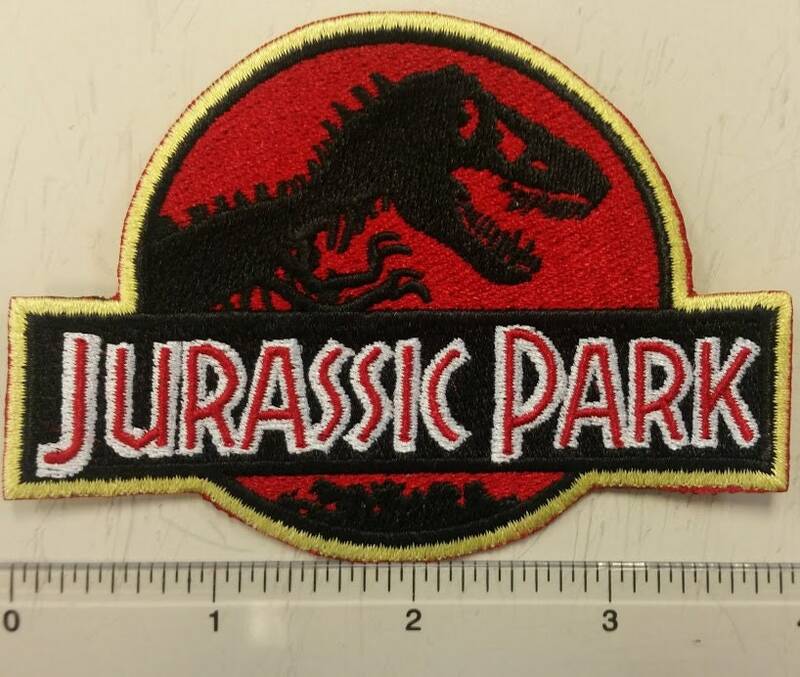 This cool Jurassic park inspired patch is perfect for cosplay or fans of the movie. It measures approximately 4"W X 3"H and comes with an iron on adhesive. It is sewn with yellow, black, white and red thread. The item shipped right away and was exactly as pictured. 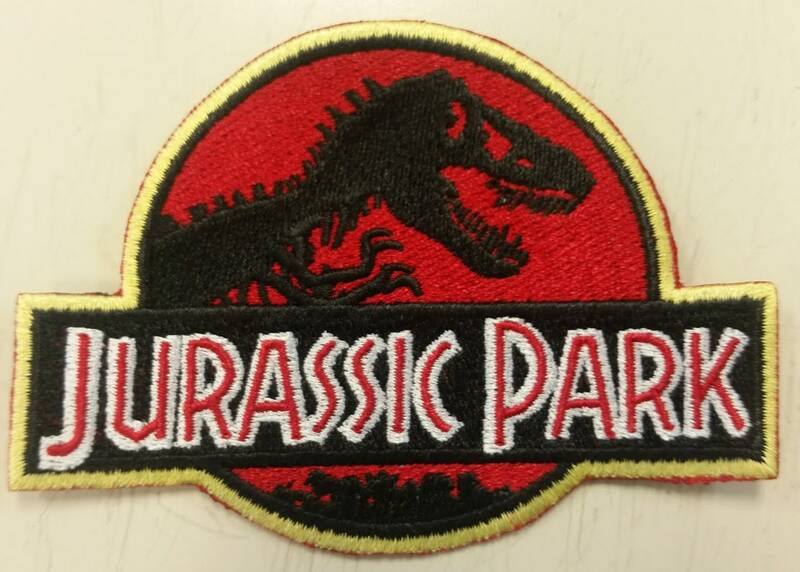 Awesome patches, quality is superb. Absolutely love them. 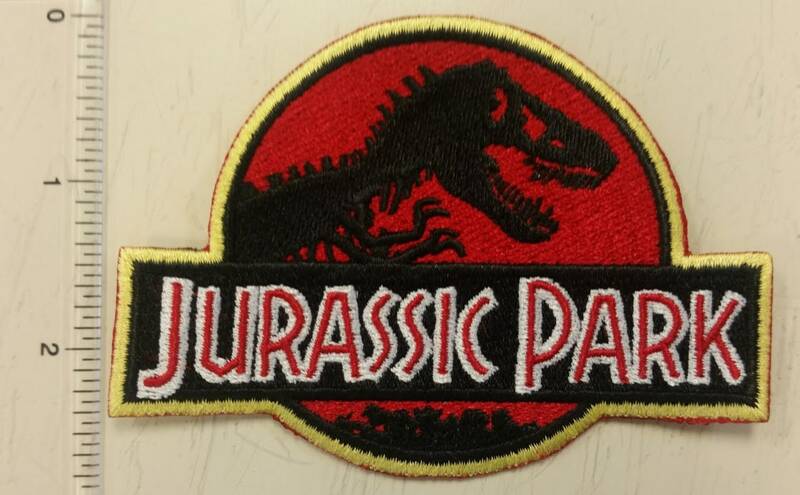 My Jurassic park patch arrived in good timing, and was so cute !! Instructions were very clear and applying it to my jacket was very easy, thank you ! !